White-nose syndrome alters how and when bats arouse from hibernation, and millions of bats have died since the disease emerged in 2006. 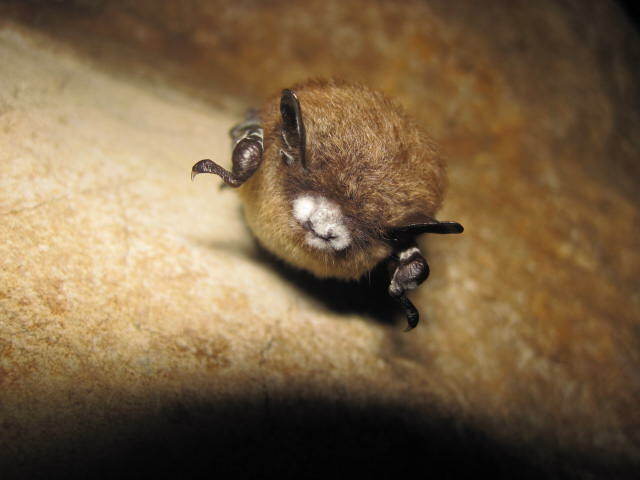 Researchers adapted widely used thermal imaging video technology to monitor caves of hibernating bats for complete winters to determine the extent of impact of white-nose syndrome without disturbing the animals’ hibernation patterns. The researchers’ long-term monitoring found that the bats’ arousal patterns have, in fact, been affected. However, the animals may have found a way to adapt to the disease. Visual technology is a key tool for wildlife research and conservation at various spatial scales, as shown by the development of camera traps, live video feeds, high-speed videography and satellite imagery, among many others. 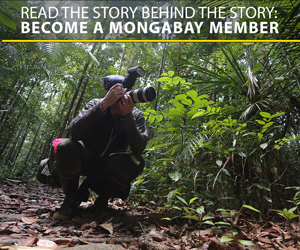 However, studying species in the dark requires its own technology, and thermal imaging has emerged from the shadows. Thermal imaging (TI), also referred to as infrared thermography, detects infrared energy, which people, animals or objects emit. The energy increases or decreases with changes in the object’s temperature. The technology senses slight differences in energy and presents them as a range of colors in a photograph or video, called a thermogram. The higher the object’s temperature, the brighter it shows on the image. A group of warming Indiana bats are watched by thermal imaging surveillance in an Indiana cave. Image courtesy of: Paul Cryan, USGS. A group of browns bats hanging from the cave ceiling are imaged by a digital camera. Photo credit: National Park Service. Dr. David Hayman and a multi-institutional team of researchers used TI technology to perform long-term surveillance of hibernating bats in North America to determine how they stir from hibernation. They conducted their study to increase understanding of how the animals’ hibernation behaviors relate to threats, such as disease. The U.S. military first developed TI for various nighttime purposes, and it has become increasingly available for other uses, including research. Providing the capacity to see at night is especially useful for studying nocturnal, hibernating or cryptic species that are otherwise difficult to observe. It also eliminates the challenge of having to introduce an intrusive light into the study area. The technology is more reliable than several widespread methods, such as night vision goggles or spotlights, which scientists typically use to view nocturnal animals. In a 2001 study that compared the use of spotlights and TI, researchers with spotlights observed roughly 54 percent of animals observed by those using TI. 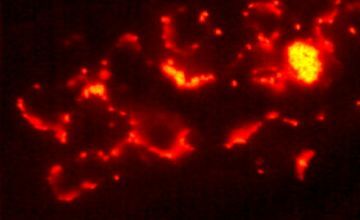 Video surveillance of wild animals has become a key tool in studying their behavior, and thermal imaging gives researchers the ability to view animals that are active in the dark. Bats contribute to ecosystems around the globe through several means, including plant pollination and seed dispersal. They are also a major predator of nocturnal insects. The threats to bats differ from area to area and include habitat loss, direct killing, disease, and wind turbines. A major threat to bats is the white-nose syndrome (WNS), which scientists estimate has killed several millions of bats from five species across North America, where it first emerged in 2006. A bat in the Great Smokey Mountains National Park with white-nose syndrome (WNS). Photo by: U.S. Fish and Wildlife Service. However, no strategies to combat the disease have been introduced, in part because bats’ habits of feeding at night and hiding during the day make them a challenge to study. Some bats also need to hibernate in caves to survive harsh winters. According to the study, this strategy for survival is at risk due to WNS. The research team collected 740 days’ worth of TI video, focusing on little brown bats (Myotis lucifugus) and Indiana bats (M. sodalis) in Virginia and Indiana, USA, to detect increases in arousals during winter months among infected bats. The researchers chose these locations based on previous data that showed infection prevalence among the hibernating bats. Body temperatures of hibernating bats drop to just above surrounding air and rock temperatures. Bats that arouse from hibernation will be warmer and thus show up differently in a thermal image than those that are still hibernating. 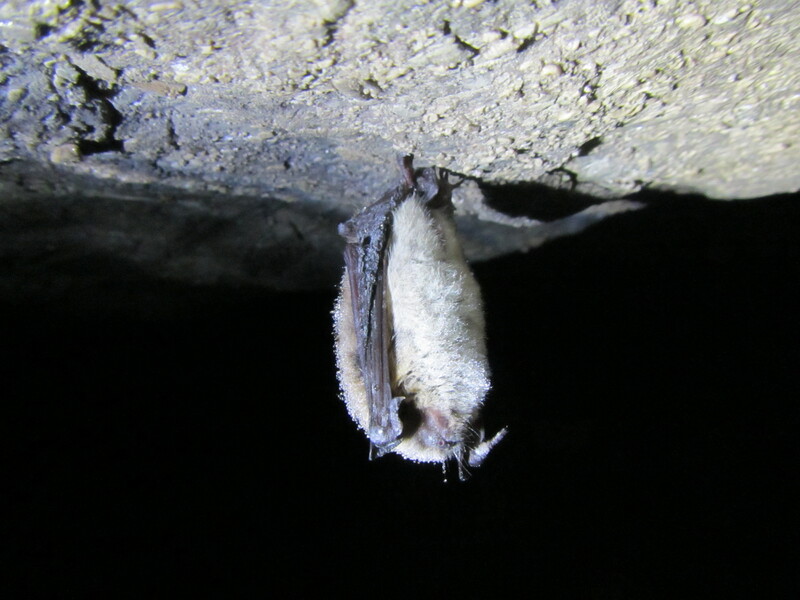 A little brown bat with white-nose syndrome hibernates in a Virginia cave during late spring of 2016. 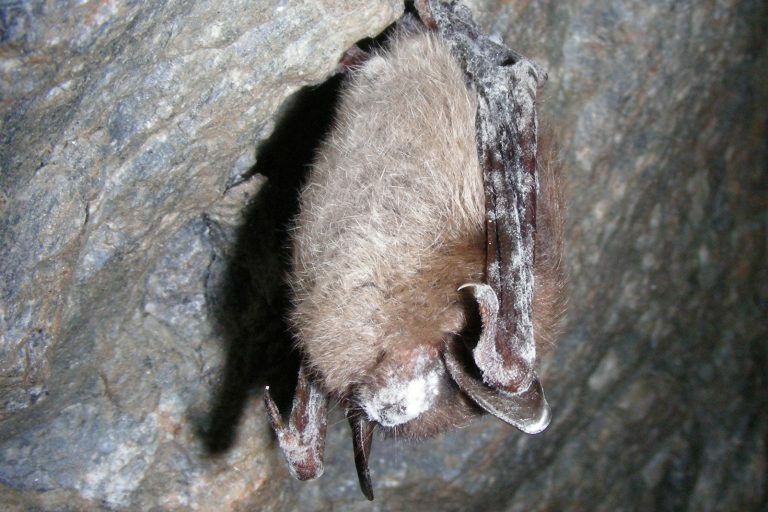 Patches of the fungus that causes white-nose syndrome can be seen growing out of the skin (white areas) near the nose and across the folded wing skin of this bat. Photo by Paul Cryan, USGS. The study found that bats with WNS do arouse more than other bats during hibernation, but, for the Indiana bats, their arousals unexpectedly synchronized with the other bats within the cave. The researchers are not positive of their hypothesis because bat behaviors are still relatively unknown, but Hayman encourages other scientists to use thermal imaging for observing bats to determine if this behavior occurs elsewhere. To compile the 17,760 hours of video over entire winters, the team used durable video cameras that are often used for surveilling properties or car lots and could be used in the caves for long period of time. The researchers streamed the video imagery to portable computers that the researchers could control via units set up at the cave entrances. The team applied technology widely used in other fields and available online for a few hundred dollars. As the TI video technology advances, Hayman said that he expects the prices to decrease. The team used video editing software that is free or already widely used, and the MATLAB® computer codes are free. Hayman believes other researchers can easily access the technology used in this study. The research team was unable to identify individual bats, which limits what the data can infer. They are, however, currently analyzing data from near-infrared video that was simultaneously collected with the TI video to better understand what the bats were doing while active. Additionally, they suggest future research in studying how bats use the cave’s local microclimates over the winter and how using them strategically can help the bats’ adapt to WNS. 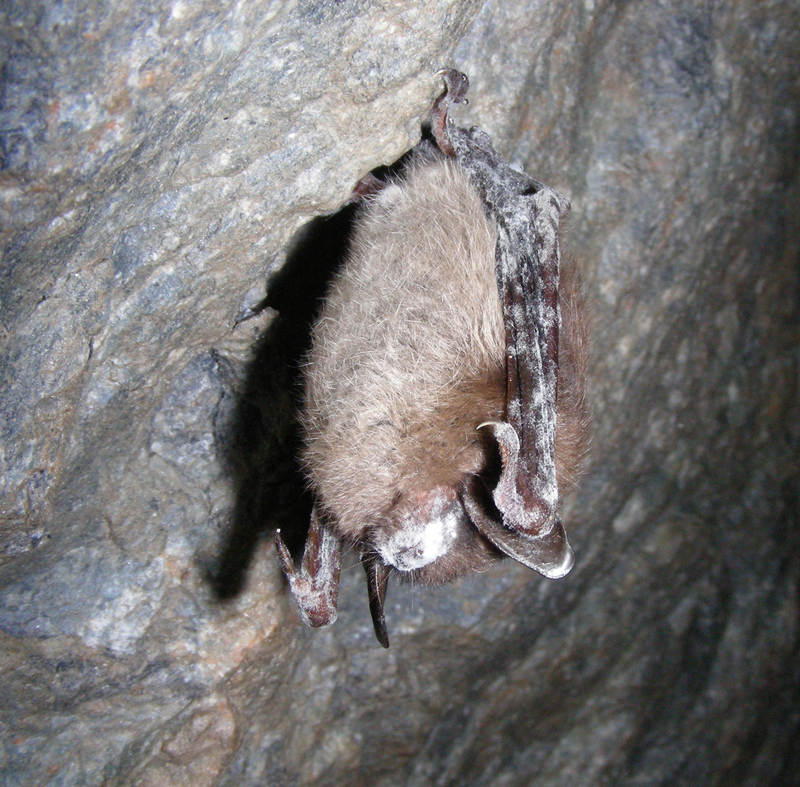 A little brown bat with white-nose syndrome on its nose and wings hibernates in Greeley Mine, VT. Photo by: U.S. Fish and Wildlife Service. 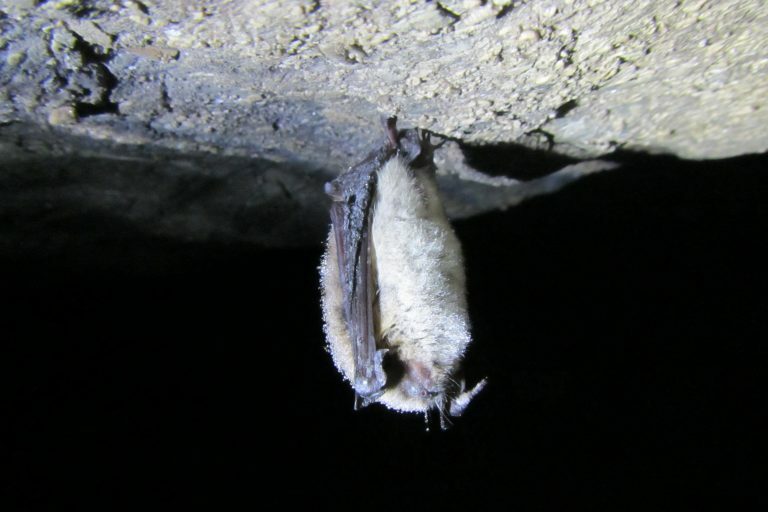 “If the bat species that have been most affected by white nose syndrome can survive over winter by using microclimates that are less suitable for the fungus to grow, I think there might be more hope for these species than if they are so adapted to those microclimates that the fungus also grows well in,” Hayman said. Monitoring the behavior of bats and other animals over long time periods is crucial to determining how they interact with each other and their environment and helping scientists understand the transmission of zoonotic disease. 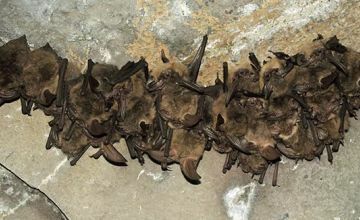 Banner image is of a group of a group of bats with white-nose syndrome hibernating on a cave ceiling. Photo credit: Government of Alberta, Creative Commons. Blackwell, B.F., Seamans, T.W., and Washburn, B.E. (2006). Use of Infrared Technology in Wildlife Surveys. The USA’s Dept of Agriculture, APHIS Wildlife Services. Focardi, S., DeMarinis, A. M., Rizzotto, M., and Pucci, A. (2001). Comparative evaluation of thermal infrared imaging and spotlighting to survey wildlife. Wildl. soc. bull. 29(1): 133-139. Frick, W.F., Puechmaille, S.J., and Willis, C.K.R. (2015). White-Nose Syndrome in Bats. Bats in the Athropocene: Conservation of Bats in a Changing World. 245-262. Hayman, D.T.S., Cryan, P.M., Fricker, P.D., and Dannemiller, N.G. (2017). Long-term video surveillance and automated analyses reveal arousal patterns in groups of hibernating bats. Methods Ecol Evol., 00, 1–9. Hristov, N.I., Betke, M., and Kunz, T.H. (2008). Applications of thermal infrared imaging for research in aeroecology. Integrative and Comparative Biology, 48(1), 50–59.